The competition for the U-18 boys wrapped up with the Erin Mills Blue taking on Erin Mills Black in the final. The first half saw both sides create good chances but time and again the keepers for both sides turned away any opportunities before they could be converted. The first half would end knotted at 0-0. It was more of the same in the second half as both sides pressed to break the deadlock. 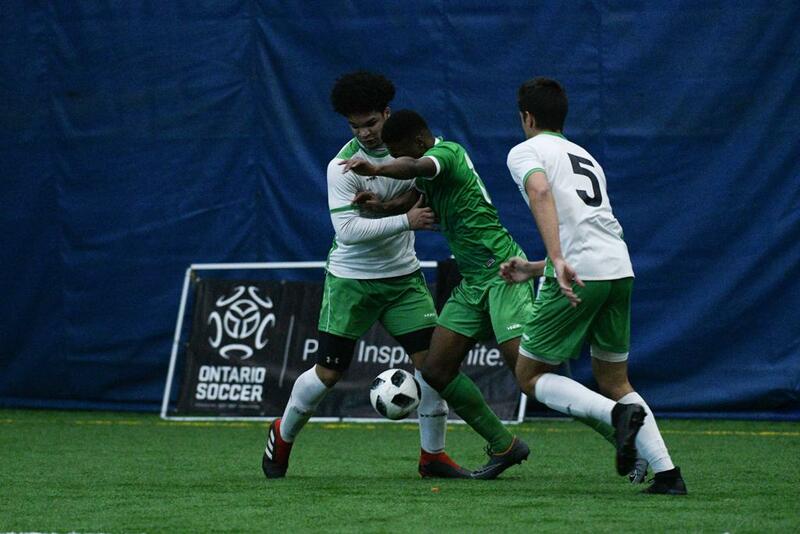 The play of Erin Mills Blue keeper Koray Tocsoy ensured that on more than one occasion he kept his team in it as Erin Mills Black had the majority of the good chances. At the other end Daniel De Sousa was equal to the task in net for Erin Mills Black, making a number of saves of his own. 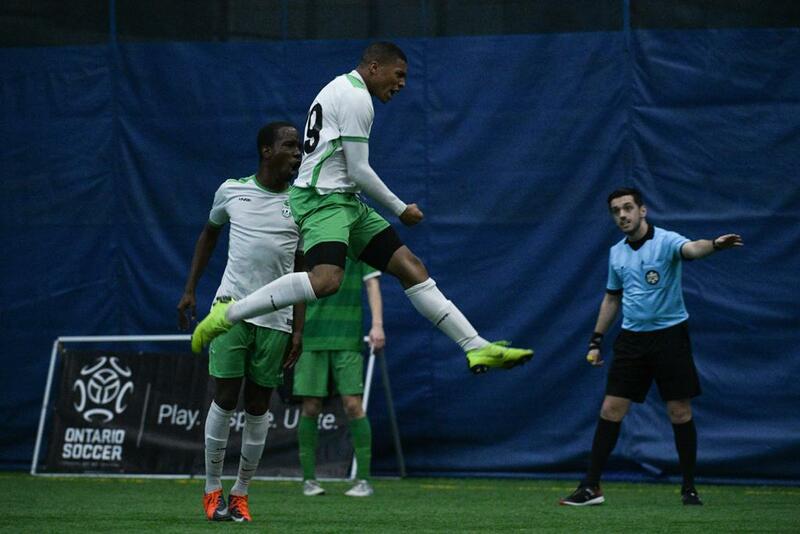 With under two minutes remaining Erin Mills Black finally found a way through as the shot of Kairo Coore found the back of the net. 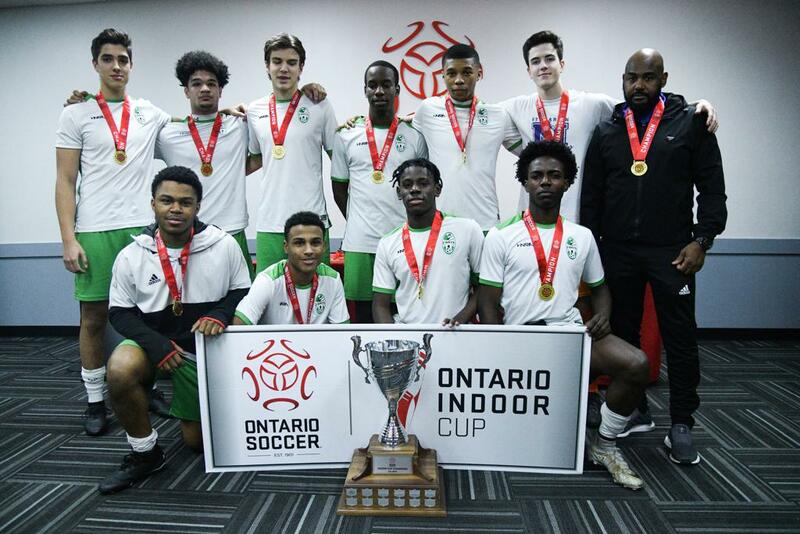 Moments later, Kahlil John-Wentworth sealed it for Erin Mills Black with a rocket of a shot that made it 2-0 and handed them the U-18 Boys Ontario Indoor Cup title.